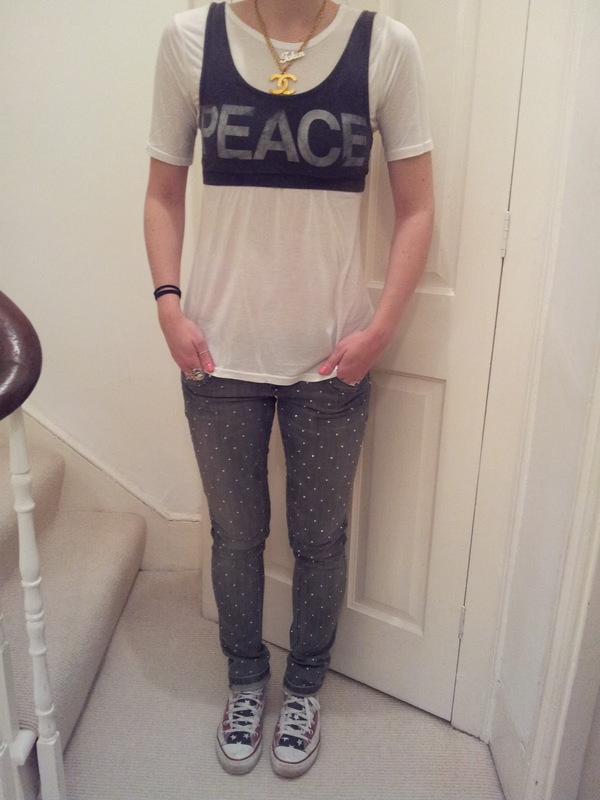 Grey jeans with diamante studs: Miss Selfridge. Peace cropped top: Topshop (yes, I bought it before Rihanna did obviously!) 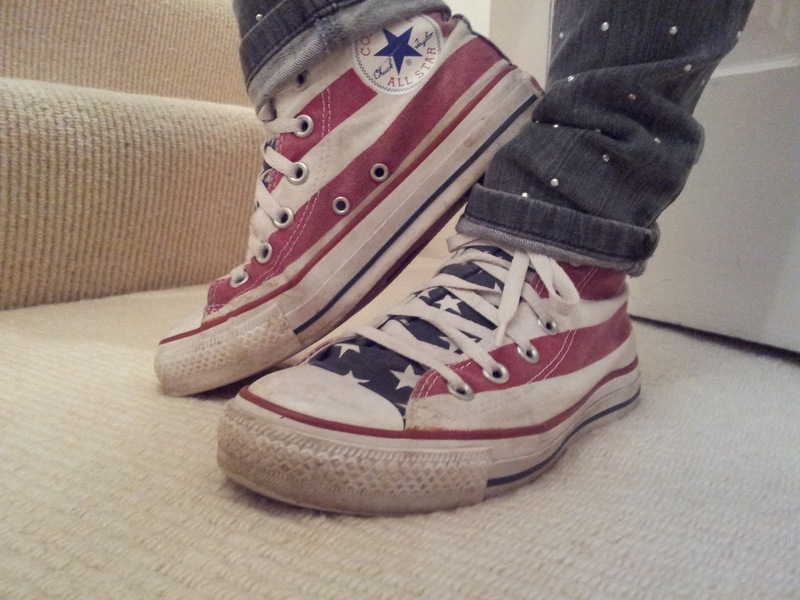 American Flag Converse: Schuh. 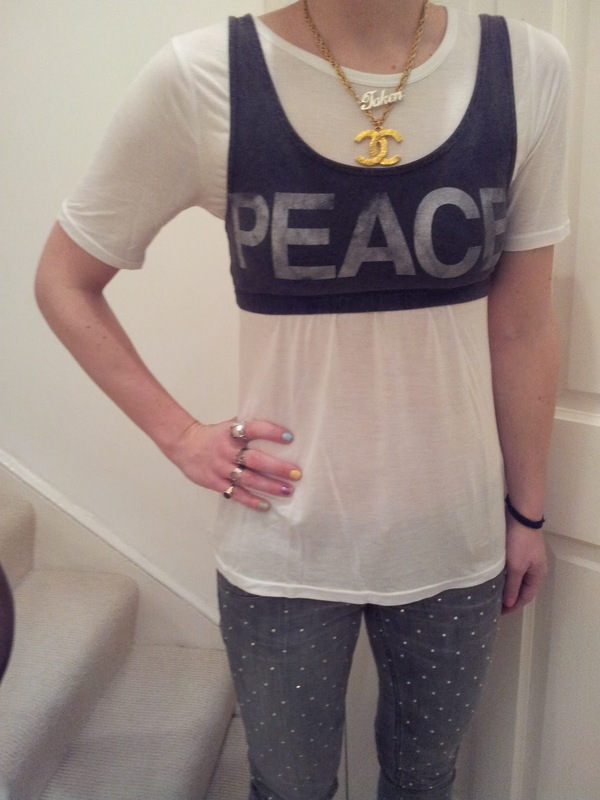 Vintage Chanel Necklace: Susan Caplan. 'Taken' necklace: Gift from my husband.